I taught a class this semester called Communication for Small Business and Nonprofits. Preparing for class each week reminded me a lot of my mom, who owned a small business in Texas, Pottsboro Gardens. Pottsboro Gardens, Pottsboro, Texas -- 1990. Today's post is for Mom. She is finishing her second course of chemotherapy, and this post is supposed to distract her a little bit while the nurse hunts for a vein during her last dose of chemotherapy. But she's not having chemotherapy today. Because even though Mom is approaching ovarian cancer like she ran her business: with commitment to getting it done, it doesn't work that way. For one thing, she can't count on anything happening when it's supposed to. She may need a blood transfusion or she blood might not be in good enough shape for chemo, so she has to go back the next week. What if she wants to take a road trip? Or, lay in the sun and just breathe? This week, she needs an MRI a billion blood tests and days and days and days of waiting (or so it seems to me, the daughter who lives miles and miles and miles away). Mom seems to take it all in stride, focusing on what is in front of her: weeding the yard, taking care of her mother--Grandma Ned, reporting the family news. Mom and I are little different in that way. I'm a planner. She'd rather just get things done. But a lot of things I do in my life are because of Mom. Mom is on the left and her mother, Grandma Ned, is on the right. Now, of course, we don't lock our keys in the car anymore because we use our key fobs to click the doors locked. Smartest invention ever for people like us. Unfortunately, last week, I locked my keys in the trunk of my car. (You're thinking this isn't a crisis because of the trunk lever by the driver's side door, but mine doesn't work.) When things like this happen, I know I can't help it. I was born this way. There are other things I do because of my mom, too. I listen to my children as intently as she listened to me, even when they're silly. every time. 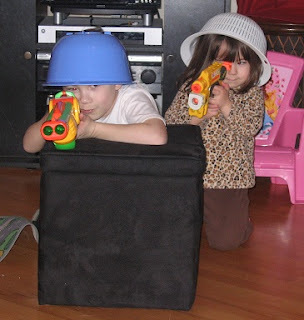 It's no wonder our son plays "soldier." Mom always listened to me, even if she was trying to unload and organize a tractor trailer full of plants. 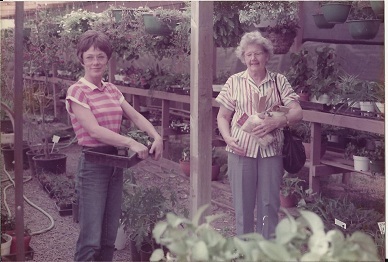 Ordering a trailer full of plants at one time meant Mom and her staff (often just three people) unloaded the trailer. The driver headed off for lunch or a nap or whatever it is drivers do when they finally reach their destinations. It makes sense when I think about it, but the first time I saw 10,000 Periwinkles stacked in tight little rows on the truck and the driver heading over to the coffee joint across the street, delivery took on a whole new meaning. I preferred unloading a truck to weeding the cacti, though. As I think about it now, finding slugs in the Begonias wasn't that much of a treat either. 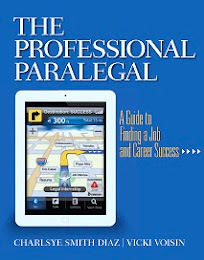 Researchers spend try to figure out what "it" is that makes business owners successful. Are people born with "it" along with good teeth and strong arms? Can "it" be taught in a classroom? Or does a person's history explain why they're not afraid to sink their savings into a business and make it grow? Mom may have learned how to be fearless in small business because she grew up on a family-owned business--a dairy farm. I sometimes wonder how much of Grandma Ned's personality and approach influenced the way Mom made business decisions. 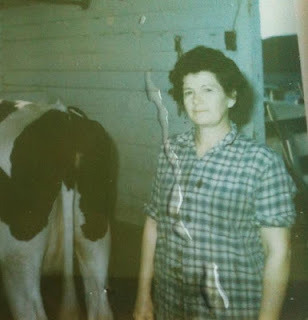 Grandma Ned in the dairy barn. Comparing Mom's experience on the dairy farm with my experience in the family-owned nursery, I'll admit that weeding the cacti doesn't seem as bad as sanitizing udders. I wonder if Mom and her siblings fought over who had to be the pooper scooper in the dairy barn? 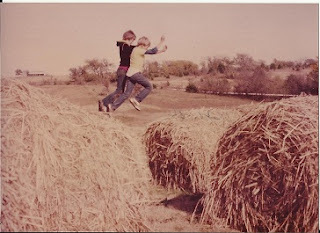 My brother Mike and I mostly experienced the better things about dairy farming. My brother Mike and our cousin Brad enjoy baled hay. 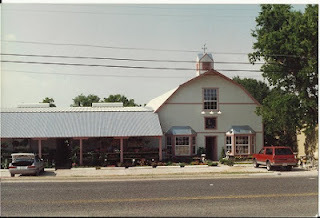 Mom's own business, Pottsboro Gardens, started out very small. 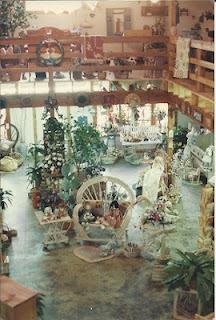 She sold flats of flowers outside and then gifts inside a crumbling building with a dirt floor in the "office." that held passion and soul but not much insulation. 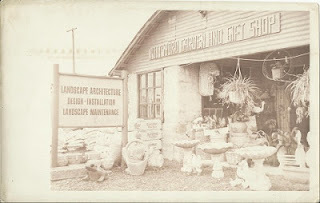 But, Mom is a get-it-done kind of person, and in a few years, she built a new building across the street and increased her business a lot. The new building had a two-story gift shop, three greenhouses, and a warehouse-style shop for potting soil, koi ponds, and seeds. Last time Mom had chemo, the staff told her she really needed to get a port inserted so that they wouldn't have to stick her so often. Get a port. Get a port. Get a port, they urged. I thought it was a good idea because Mom called me while the nurse was looking for a vein and she kept apologizing to the nurse for crying. By the end of that phone call, I was repeating the mantra: get a port, get a port, get a port. Mom didn't because she would have had to do that through out-patient surgery and it would prolong getting things done. Mom is definitely a get-things-done girl. She can get more done before anyone else can make a list. (She once made me the cutest Halloween costume ever the morning before I wore it to school.) Forget priorities. When you can get it all done, priorities don't matter that much. Unfortunately, Mom did not pass her get-it-done gene on to me. I have to think about things before I jump into them. And sometimes I wonder if that--the ability to make decisions and do things without overthinking them--is the secret to running a business successfully. Even with housework, I can't always run around the house getting everything in order without thinking about what needs to be done, what can wait, etc. My friend Shary can do the run-around and get-it-done thing. We'll be on the phone and before we hang up she's cleaned the kitchen and repainted a hallway. There's a chance that our little daughter got Mom's get-it-done gene because when we say, "Let's brush your teeth, and she often replies, "I already did that tomorrow." So, Mom, I hope today is a good day and that after your MRI this week, chemo is finished or nearly finished and that you don't, as your little granddaughter says, have to "do it again yesterday."